Guard your mosaic projects from water, dirt, food, and discoloration with Mosaic Mercantile Mosaic Grout Sealer. 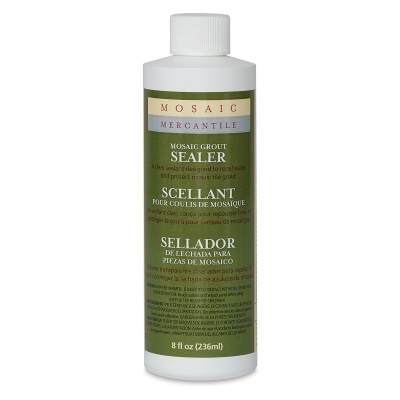 This clear sealant is designed to repel water and protect mosaic tile grout. It's easy to apply and dries to a transparent, non-yellowing finish. 8 oz (236 ml) bottle.